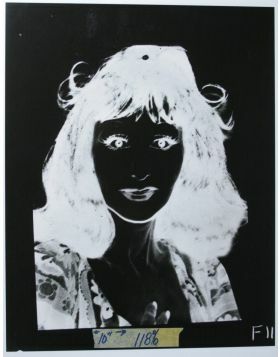 Cellulose acetate film is used since the 20's as a replacement for the highly flammable nitrate film, as a base of the support or photographic films. 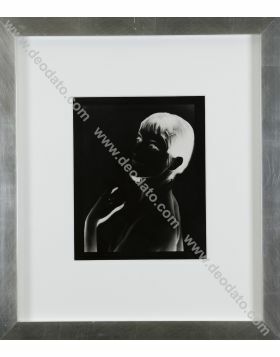 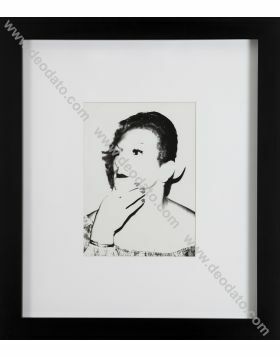 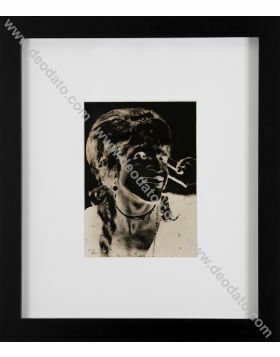 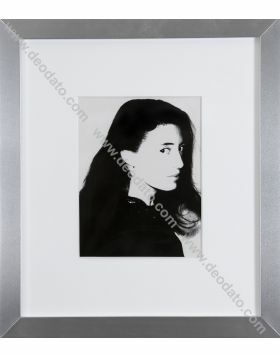 An acetate is a photographic negative transfered to a transparency, it was the last original step prior to the screenprinting of an image, and the most important element in Warhol's creative process. 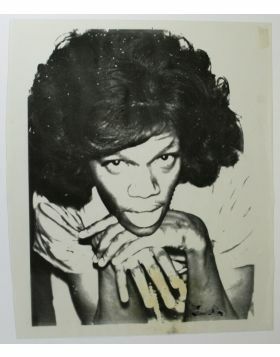 Ladies and Gentlemen is a photo project that takes place around 1975, when Warhol decided to photograph some of the drag queens of New York nightclub The Gilden Grape. 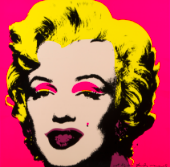 They posing in front of Warhol's camera like Hollywood Stars, exposing their vision of the femininity, accentuated and invigorated, because artificial (at least physically), but all the more true in the result. 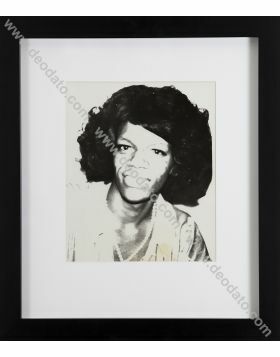 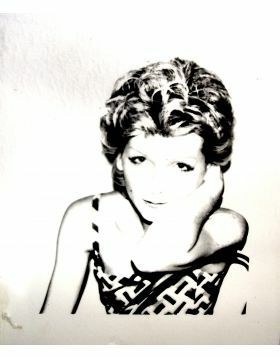 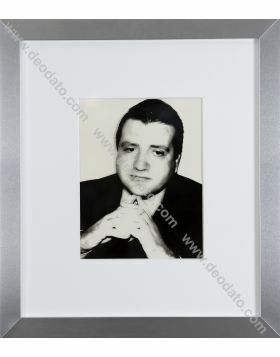 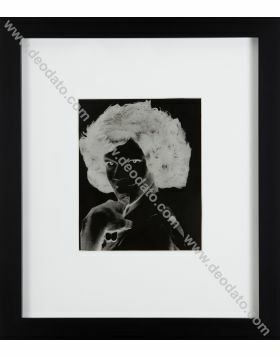 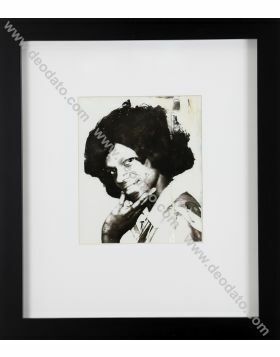 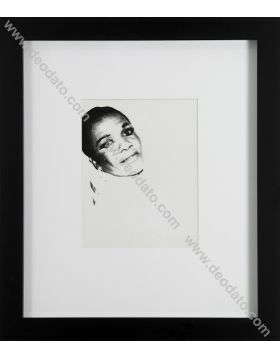 Unique acetate negative photograph for Ladies & Gentleman Series, 1975. 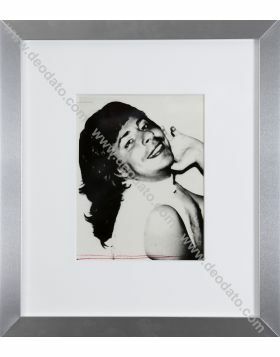 The artwork is published in the catalogue Andy Warhol Vetrine edited by Achille Bonito Oliva, p.181.